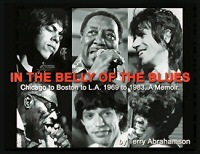 The DeltaBluesMuseum.org website is operated by the Delta BluesMuseum, #1 Blues Alley, Clarksdale, Mississippi 38614. Please take a few minutes to review these Terms and Conditions. Your use of this website constitutes your agreement to follow these rules and to be bound by them. If you do not agree with any of these Terms and Conditions, do not use the DeltaBluesMuseum.org website. The Delta Blues Museum reserves the right to update or modify these Terms and Conditions at any time without prior notice. Your use of this website following any such change constitutes your agreement to follow and be bound by the Terms and Conditions as changed. For this reason, we encourage you to review these Terms and Conditions whenever you use this website. All of the Content you see and hear on the DeltaBluesMuseum.org website, including, for example, all of the page headers, images, illustrations, graphics, audio clips, video clips and text, are subject to trademark, service mark, trade dress, copyright and/or other intellectual property rights or licenses held by Delta Blues Museum, one of its affiliates or by third parties who have licensed their materials to Delta Blues Museum. The entire Content of this website is copyrighted as a collective work under U.S. copyright laws, and DeltaBluesMuseum.org owns a copyright in the selection, coordination, arrangement and enhancement of the Content. No right, title or interest in any downloaded materials is transferred to you as a result of any such downloading. Delta Blues Museum reserves complete title and full intellectual property rights in any Content you download from this website. Except as noted above, you may not copy, download, reproduce, modify, publish, distribute, transmit, transfer or create derivative works from the Content without first obtaining written permission from Delta Blues Museum. You agree that any User Content submitted by you on DeltaBluesMuseum.org will be accurate, will not violate or facilitate the violation of any applicable law, regulation or Delta Blues Museum rule or policy, will not violate any right of a third party, including without limitation, copyright, trademark, privacy or publicity rights, and will not cause injury to any person or entity. You agree that User Content submitted by you on DeltaBluesMuseum.org will not contain obscene, profane or threatening language, and will not contain software viruses, political campaigning, commercial solicitation, chain letters, mass mailings or any form of "spam". In addition, you agree that you have not been compensated nor granted any consideration by any third party for the User Content submitted by you. You are solely responsible for the User Content you submit, and Delta Blues Museum assumes no liability for any User Content submitted by you. You agree to indemnify us against all claims and liabilities resulting from your User Content. You understand and agree that we do not monitor User Content, but we reserve the right to review and delete any User Content for any or no reason, including User Content that we determine in our sole discretion violates these terms, our Review Guidelines or is otherwise harmful to us, other Delta Blues Museum guests or any third party. For any User Content that you submit, you grant Delta Blues Museum a perpetual, irrevocable, royalty-free, transferable right and license to use, copy, modify, delete, adapt, publish, translate, create derivative works from, sell and distribute such content and to incorporate such content into any form, medium or technology throughout the world, all without compensation to you. For this reason, do not send us any comments that you do not wish to license to us, including any confidential information or any original creative materials such as stories, product ideas, computer code or original artwork. In addition, you grant Delta Blues Museum the right to include the name provided along with the User Content submitted by you. You must provide your actual e-mail address in order to submit User Content. Any content you submit will be routed through the Internet, and you understand and acknowledge that you have no expectation of privacy regarding User Content. By submitting your email address in connection with your rating and review, you agree that Delta Blues Museum and its third party service providers may use your email address to contact you about the status of your review and for other administrative purposes; however, Delta Blues Museum has no obligation to respond to any User Content. If you are not fully satisfied with your purchase you may return it with the original packing receipt (or visit My Account and click the Return Items link for return options) within 90 days of the order date. Additional restrictions apply. Please see our Return Policy for more details. 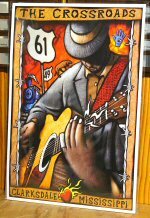 DeltaBluesMuseum.org sales are made by Delta Blues Museum. The risk of loss and title to items pass to the purchaser upon delivery. All GiftCards, e–GiftCards and other gift certificates are deemed purchased in and issued from the State of Mississippi. The risk of loss and title to such items pass to the purchaser upon our electronic transmission to the recipient or delivery to the carrier, whichever is applicable. THE DELTABLUESMUSEUM.ORG WEBSITE IS OPERATED BY DELTA BLUES MUSEUM, ON AN "AS IS," "AS AVAILABLE" BASIS, WITHOUT REPRESENTATIONS OR WARRANTIES OF ANY KIND. TO THE FULL EXTENT PERMITTED BY LAW, DELTABLUESMUSEUM.ORG, DELTA BLUES MUSEUM, AND THEIR AFFILIATES (COLLECTIVELY, THE "DELTA BLUES MUSEUM BUSINESSES") DISCLAIM ANY AND ALL REPRESENTATIONS AND WARRANTIES WITH RESPECT TO THIS SITE AND ITS CONTENTS, WHETHER EXPRESS, IMPLIED, OR STATUTORY, INCLUDING, BUT NOT LIMITED TO, WARRANTIES OF TITLE, MERCHANTABILITY AND FITNESS FOR A PARTICULAR PURPOSE OR USE. WITHOUT LIMITING THE FOREGOING, THE DELTA BLUES MUSEUM BUSINESSES DISCLAIM ANY AND ALL WARRANTIES, EXPRESS OR IMPLIED, FOR ANY MERCHANDISE OFFERED ON THIS SITE. THIS DISCLAIMER DOES NOT APPLY TO ANY PRODUCT WARRANTY OFFERED BY THE MANUFACTURER OF THE ITEM. WITHOUT LIMITING THE FOREGOING, THE DELTA BLUES MUSEUM BUSINESSES DO NOT REPRESENT OR WARRANT THAT THE INFORMATION ON THIS WEBSITE IS ACCURATE, COMPLETE, RELIABLE, USEFUL, TIMELY OR CURRENT OR THAT THIS WEBSITE WILL OPERATE WITHOUT INTERRUPTION OR ERROR. WITHOUT LIMITING THE FOREGOING, THE DELTA BLUES MUSEUM BUSINESSES DISCLAIM ANY LIABILITY AS TO THE ACCURACY OR COMPLETENESS OF EACH ITEM DESCRIPTION. ALL PRODUCT DESCRIPTIONS ORIGINATE FROM THE MANUFACTURER OF THE ITEM. THE DELTA BLUES MUSEUM BUSINESSES DO NOT ENDORSE NOR MAKE ANY WARRANTIES OR REPRESENTATIONS ABOUT THE OPTIONS OR OTHER SERVICE OR DATA YOU MAY ACCESS, DOWNLOAD OR USE AS A RESULT OF THE USE OF THE INFORMATION CONTAINED ON THIS WEBSITE, OR ABOUT ANY WEBSITE YOU MAY ACCESS THROUGH THIS WEBSITE. LINKS TO OTHER SITES ARE PROVIDED FOR CONVENIENCE ONLY. YOU NEED TO MAKE YOUR OWN DECISIONS REGARDING YOUR INTERACTIONS OR COMMUNICATIONS WITH ANY OTHER WEBSITE. THE DELTA BLUES MUSEUM BUSINESSES MAKE NO REPRESENTATION THAT CONTENT PROVIDED ON THIS WEBSITE IS APPLICABLE OR APPROPRIATE FOR USE IN LOCATIONS OUTSIDE OF THE UNITED STATES. THE DELTA BLUES MUSEUM BUSINESSES ASSUME NO RISK OR RESPONSIBILITY FOR YOUR USE OF ANY OF THE CONTENT PROVIDED ON THIS WEBSITE. UNDER NO CIRCUMSTANCES, SHALL THE DELTA BLUES MUSEUM BUSINESSES OR ANY OF THEIR EMPLOYEES, DIRECTORS, OFFICERS, AGENTS, VENDORS OR SUPPLIERS BE LIABLE FOR ANY DIRECT OR INDIRECT LOSSES OR DAMAGES ARISING OUT OF OR IN CONNECTION WITH THE USE OF OR INABILITY TO USE THIS WEBSITE. THIS IS A COMPREHENSIVE LIMITATION OF LIABILITY THAT APPLIES TO ALL LOSSES AND DAMAGES OF ANY KIND (WHETHER GENERAL, SPECIAL, CONSEQUENTIAL, INCIDENTAL, EXEMPLARY OR OTHERWISE, INCLUDING, WITHOUT LIMITATION, LOSS OF DATA, INCOME OR PROFITS), WHETHER IN CONTRACT, NEGLIGENCE OR OTHER TORTIOUS ACTION, EVEN IF AN AUTHORIZED REPRESENTATIVE OF ANY DELTA BLUES MUSEUM BUSINESS HAS BEEN ADVISED OF OR SHOULD HAVE KNOWN OF THE POSSIBILITY OF SUCH DAMAGES. APPLICABLE LAW MAY NOT ALLOW THE LIMITATION OF LIABILITY SET FORTH ABOVE, SO THIS LIMITATION OF LIABILITY MAY NOT APPLY TO YOU. IF ANY PART OF THIS LIMITATION ON LIABILITY IS FOUND TO BE INVALID OR UNENFORCEABLE FOR ANY REASON, THEN THE AGGREGATE LIABILITY OF THE DELTA BLUES MUSEUM BUSINESSES UNDER SUCH CIRCUMSTANCES FOR LIABILITIES THAT OTHERWISE WOULD HAVE BEEN LIMITED SHALL NOT EXCEED ONE HUNDRED DOLLARS ($100). 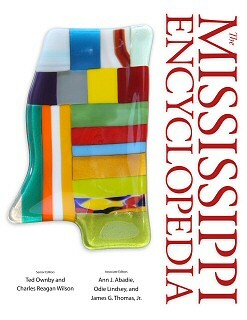 BY ACCESSING AND USING THE DELTABLUESMUSEUM.ORG WEBSITE, YOU AGREE THAT YOUR ACCESS TO AND USE OF THIS WEBSITE IS SUBJECT TO THESE TERMS AND CONDITIONS, AS WELL AS ALL APPLICABLE LAWS, AS GOVERNED AND INTERPRETED PURSUANT TO THE LAWS OF THE STATE OF MISSISSIPPI, UNITED STATES OF AMERICA.